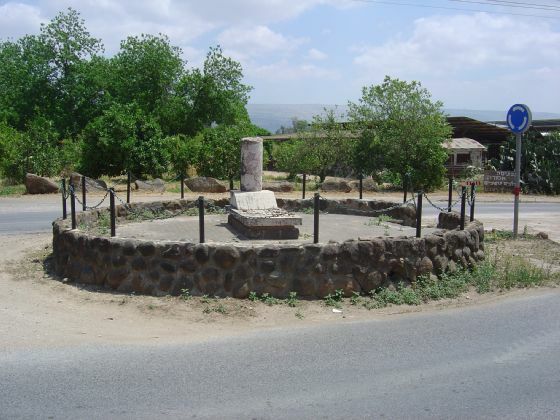 Yehuda Sandler, member of “Gedud Ha’avoda” was the field's watcher in Moshav Beit Hilel, on Januray 25th 1941 Yehuda went to the fields and found a group of Arabs who had their herds on the Moshav fields, the herding on the fields caused great damages to the crops. Yehuda demanded that they went away, the arabs refused, As yehuda went down from his horse he was hit on the head and died. Yehuda Sandler was 41 years old. 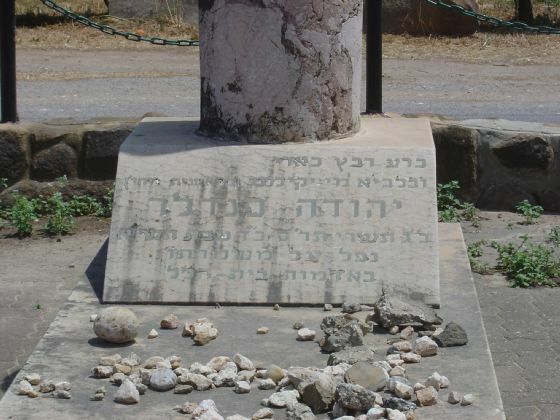 His grave stands in the middle of the Moshav till today. 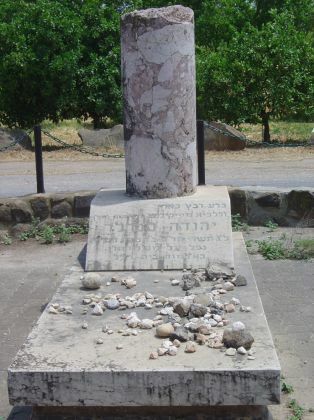 In memory of Yehuda Sandler and all those who have fallen for the State of Israel. We will not forget you and we will remember your sacrifice. May G-d give strength to all those who mourn and bless the families of the fallen. So few of us. Each loss hurts us all. The entire Jewish nation mourns for Yehuda.